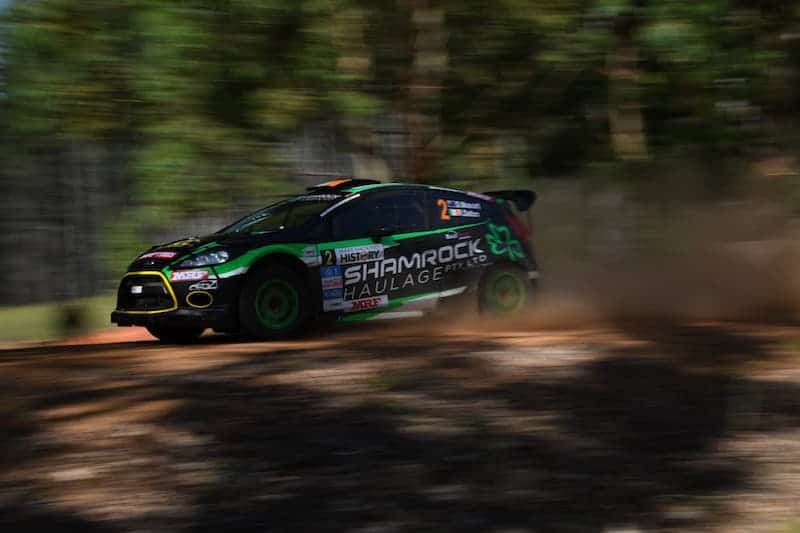 Harry and Lewis Bates have dominated the opening leg of the Forest Rally, round one of the Australian Rally Championship in Western Australia today. The pair began the day separated by one tenth of a second at the top of the leaderboard after Friday evening’s Busselton Super Special Stages. The Toyota team continued their dominance into Saturday, with elder brother, Harry, taking back the lead on the opening Healthway test. He won five of the next seven stages to finish the heat 29.9 seconds ahead of his brother. Lewis Bates took one stage win for the day, and was happy with his first Australian Rally Championship heat in the Yaris. “It’s better than I expected actually,” he said at the midday service break. “I’m coming to grips with the Yaris quite quickly – its a really fun car to drive,” he added. West Australian, Tom Wilde, finished in third position after an impressive display from the Maximum Motorsport driver. Wilde was locked in a battle with Subaru’s Molly Taylor which swung to and fro all day. At the conclusion of the heat, the gap was only 5.3 seconds between the pair. Victorian, Darren Windus’ consistency was rewarded as he rounded out the top five in his first trip to Western Australia in several years. Irishmen JJ Hatton and Richie Dalton both suffered mechanical issues which hampered their days in respective G4 machines. JJ Hatton had struggles in the first stage of the morning when he and co-driver, Nathan Long, had to stop mid-stage to clear oil sprayed over the Hyundai’s windscreen. Despite the aversion of this problem, they continued to gain more experience in the car over the remainder of the day, but picked up an untimely turbo problem, forcing them to retire. With no spare turbo, the pair will be unable to return to action tomorrow. Dalton was fifth after SS5, before electrical gremlins stopped the Shamrock Motorsport car in its tracks. John O’Dowd (Skoda), Luke Anear (Subaru) and Troy Dowel (Hyundai) were sixth, seventh and eighth. Tomorrow’s stages use similar roads to heat one, with eight forest stages following another run through the Busselton street stage this evening.